Once again, pretty excited that the weekend is here and hoping that there will be time for lots of crafting this weekend. I received a nice Stampin' Up package this week that had lots of new goodies inside. I was very excited to get playing, more so when I got out this gorgeous FRESH FRUIT (link to the products at the end of the post) below. 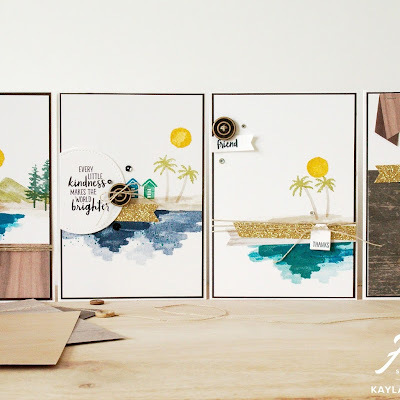 This set is perfect for our gorgeous summer and stamps so beautifully. I love the imperfect look these stamps have. 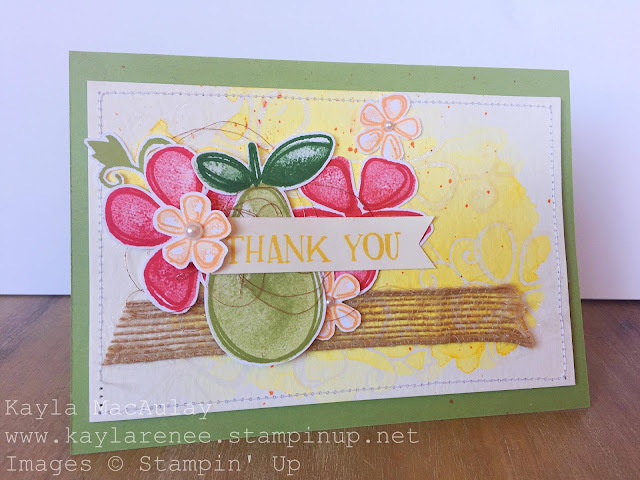 It's a two step stamping set with the inside of the fruit and scribbled look outline provided. You can check out a video of my haul on my Facebook page here. I have also dabbled in some resist watercoloring to create my background and love the effect that this achieved. I definitely urge you to add some clear (or white) embossing powder to your next order because it's a fantastic way to get a different look for some backgrounds. 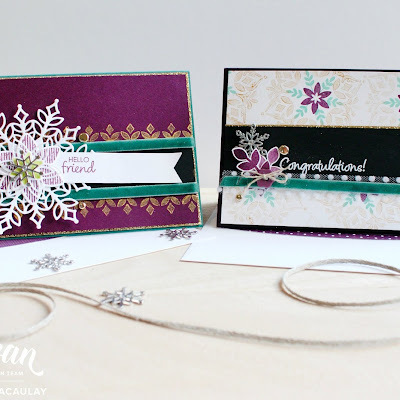 This card is a part of the Friday Crazy Crafters Highlights and I would love it if you could pop by Kylie's blog and vote for my card. It would be much appreciated. You can also check out all of the other's beautiful cards. I always get a tonne of inspiration over there. I took a side preview of the card so you can see that gorgeous resist. I have used Daffodil Delight ink with a water brush to get my watercolored effect. I definitely recommend using the Watercolour Paper for this technique. This set doesn't come with matching thinlets/framelits however the pieces are easy enough to fussy cut around. 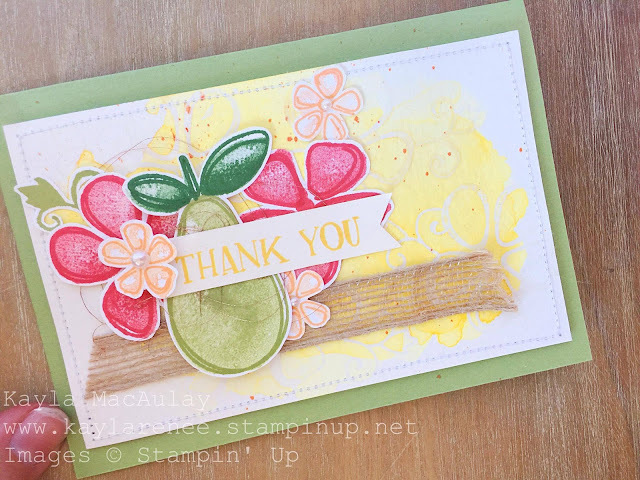 Stampin' Up Paper Snips make this super easy with their precise cutting. For the stamped images I have used the 'stamping off' technique. 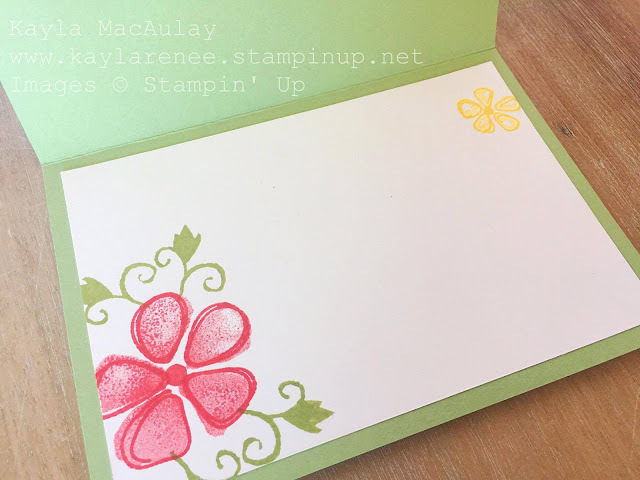 Simply by stamping off the inside image once and then stamping on the Whisper White card stock to achieve a more subdued colour and then going back with the outline image in full strength colour. I added some machine stitching around the edge for added texture and love how it gives the card a finished look. 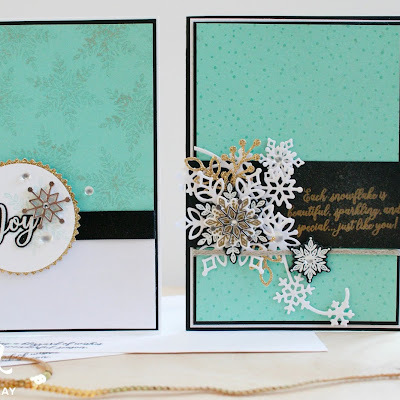 I love adding textural elements to my cards. 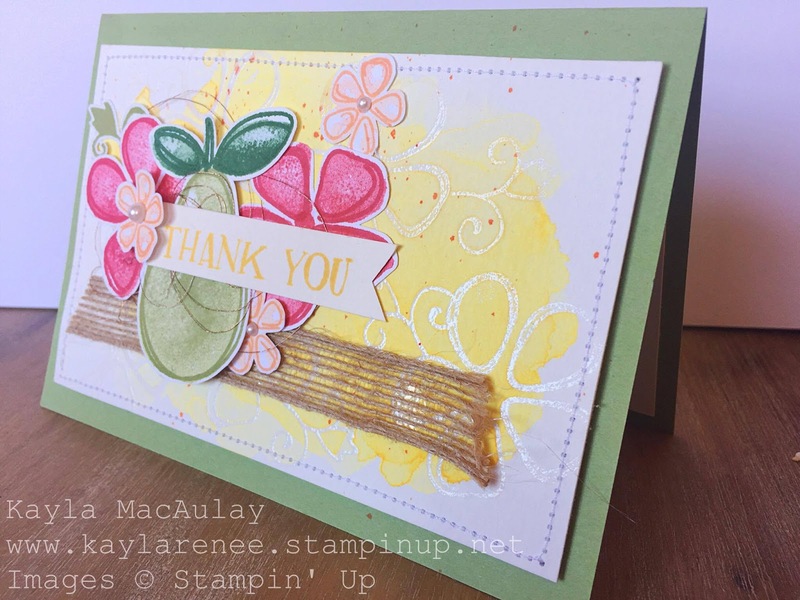 The combination of machine stitching, the copper thread and the burlap ribbon provides the card with lots of different textures and I have also raised some of the stamped images on dimensionals to add varied heights. As usual, I am loving stamping/decorating the inside of my cards. The gorgeous flower and leaves/vines made this so easy! You can see below a list of all the products I have used.